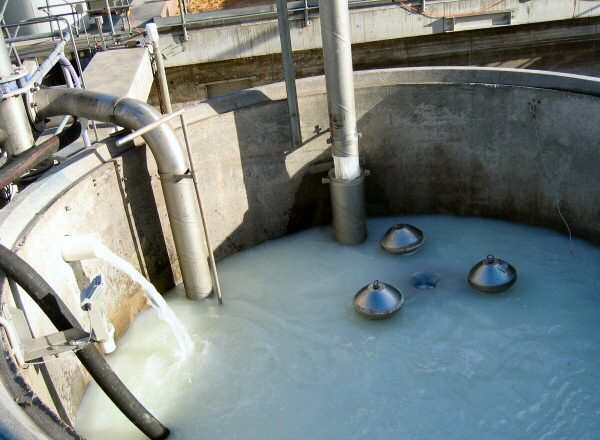 A large challenge facing the dairy industry is effluent wastewater treatment for trade waste or environmental discharge compliance. Traditional chemical treatment systems such as DAF’s, IAF, CAF’s are expensive to buy, own and operate; eating into margins. 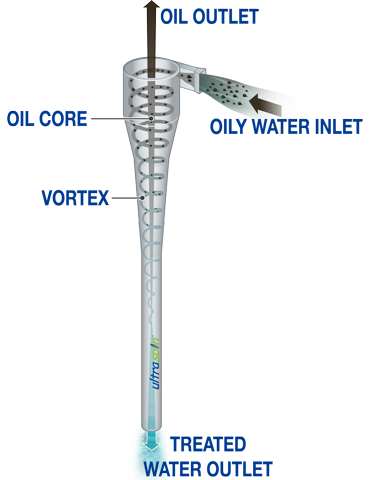 An Ultraspin effluent wastewater treatment system using innovative vortex technology is an attractive alternative. Fat oil and grease and suspended solids separation is independent of temperature and pH. No chemicals required. No operator input required. Forget the complicated chemical balancing act required with DAF’s. 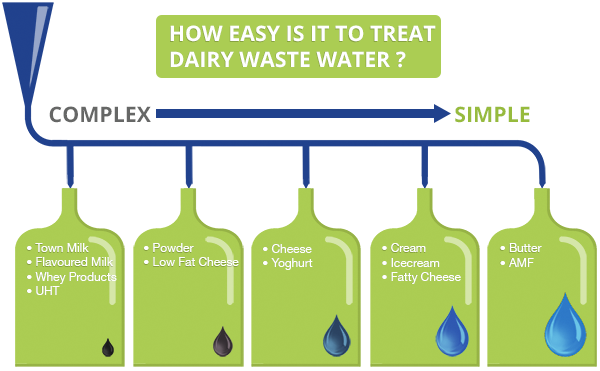 The Ultraspin system is particularly well suited to higher fat load effluents from plants producing high fat cheeses, AMF, butter, cream and ice cream. 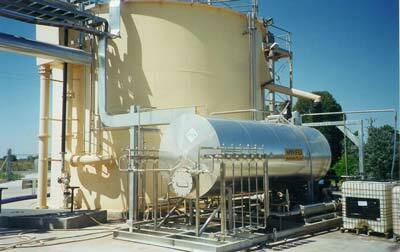 Above: An Ultraspin 25 m3/hr Dairy effluent wastewater treatment package for a cheese manufacturing plant. 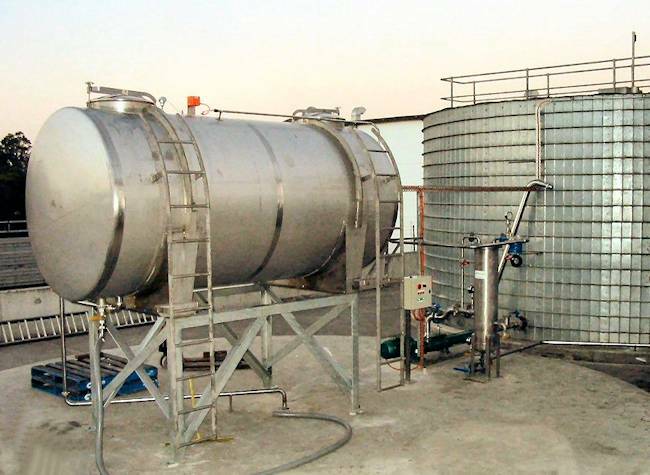 This packaged system Included a trash screen, balance tank, large separated fat collection tank and the Ultraspin separators. How does Ultraspin produce such good results? 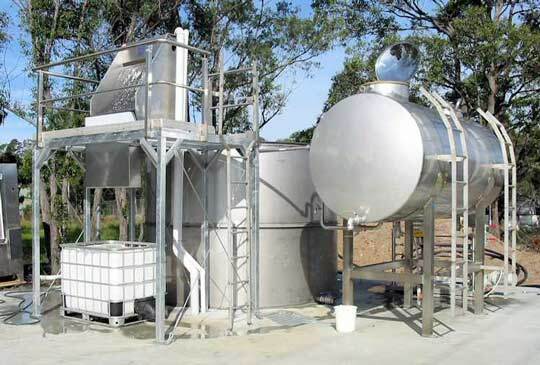 Our unique oily water separator utilises strong centrifugal forces to spin the fats oils and greases out of the wastewater. You can find out more about how it works here. At Ultraspin, we can provide you with everything you need for efficient fats removal, including surface skimmers, strainers and decant tanks. 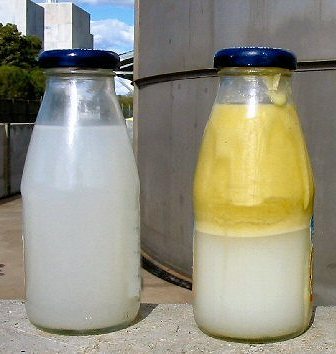 Dairy factories produce a variety of effluents. Effluents can broadly be correlated with the type(s) of product being produced. This image shows how the treatability varies for different products. Prefer to rent a system? A short time or a long time, our ‘Ultrapak’ systems are a perfect option. All the performance without the capital layout, Ultrapak is designed to be ‘plug and play’ into your current installation. Perfect for a temporary solution during facility upgrade, testing for environmental compliance improvements or recovery of higher grade fats. To find out more visit our rental page. The Kraft cheddar cheese facility at Leitchville, Victoria was struggling to comply with water discharge environmental regulations. causing some concern for the local authorities and community with poorly treated wastewater and odours. 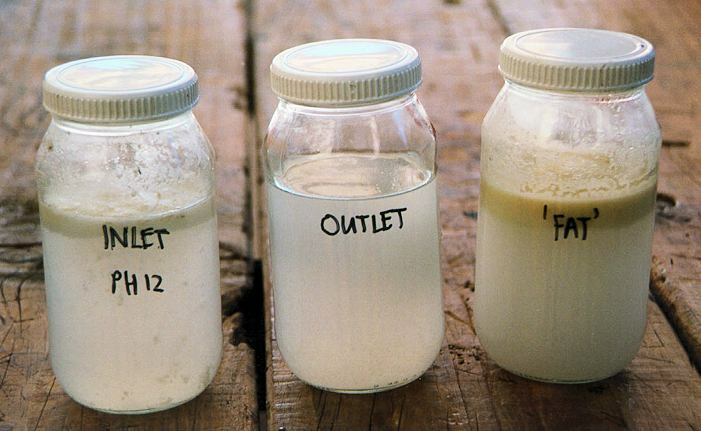 Dairy cleaning procedures use a combination of caustic and acidic products plus hot and cold water rinses, which can create an extremely challenging wastewater with huge temperature and pH swings. The ideal solution is to use a treatment system that is independent of both of those criteria. 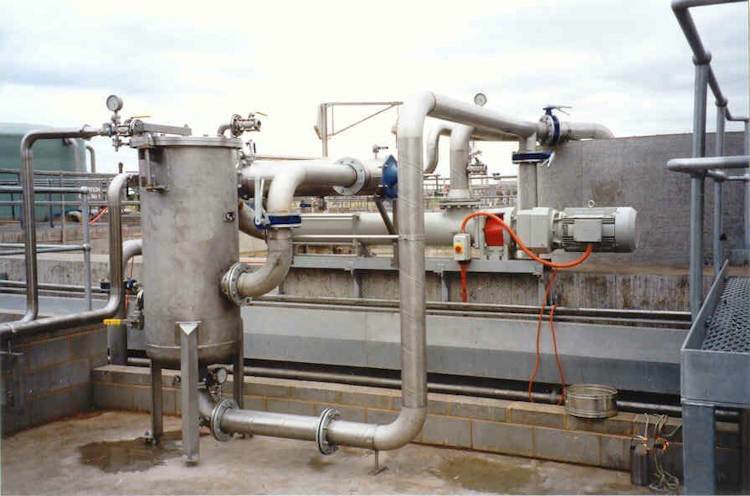 Consultant company GHD recommended the use of the Ultraspin fats separator system to treat the wastewater generated by the plant. At the Kraft facility, the effluent treatment used a screening system and large balance tank for primary treatment. Ultraspin installed skimmers in the balance tank, a fats/oils solids separator using hydrocyclone technology and holding tank for fat collection of separated materials. 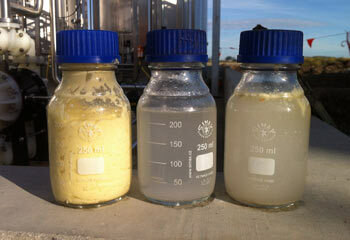 The wastewater was then fed directly into new anaerobic digesters before discharge onto local pasture for irrigation. 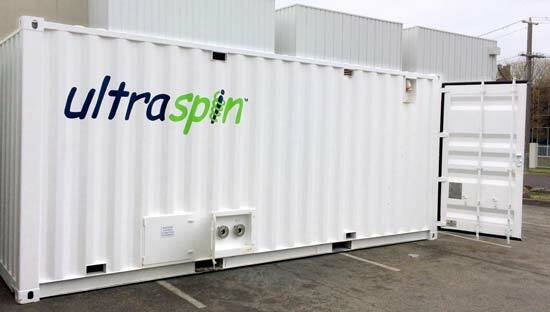 The Ultraspin system was able to achieve less than 100mg/L of fat content into the digesters at ‘peak times’ and as low as 50mg/L in ‘normal’ production levels, enabling the high rate digester system to operate at full functionality at 100% of the time. With no chemical inputs on the secondary stage of treatment, the fat recovered could be sold or safely disposed of. For the Leitchville community, the result was no contaminants and no odours. For Kraft it gave an easy to use system independent of temperature and pH that more than satisfied environmental concerns.